- In the open tournament A (9-round Swiss, FIDE rated) eligible to participate are the players with FIDE ratings 2200 and higher. The maximum number of participants is 50. Rate of play: 15 min + 10 sec/move increment. 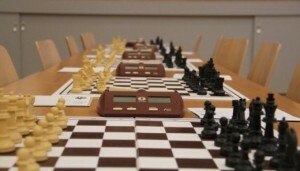 - In the open tournament B (9-round Swiss, FIDE rated) eligible to participate are the players with FIDE ratings under 2200. The maximum number of participants is 70. Rate of play: 25 min to the end of the game. - In the open tournament C (9-round Swiss, open & girls) eligible to participate are the players under 12 years old. Individual and team score will be counted. Each team may consist of 2 players (1 boy + 1 girl), both born in 2002 and younger. The top prize in the Open A is 1000 EUR.